Treat your team to something new and exciting with The Diamond Quest, which incorporates a mixture of mental, physical, skill and mystery challenges. Work around the zones completing challenges collaboratively in your groups, with the aim of gaining enough points to grab a spot in the final Diamond Dome challenge. 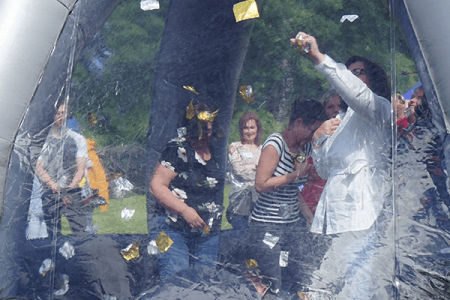 This Team Away Day will leave your groups feeling excited, energised and rewarded. 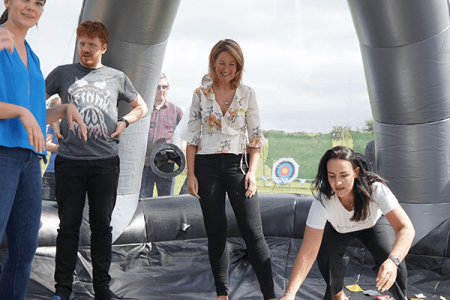 It will spark collaboration and competition and draw on a range of skills and abilities, perfect for your Team Away Day in Scotland!